Awakening manages to be both thoughtful and full of action, combining the best of science fiction and fantasy with intriguing and original characters. 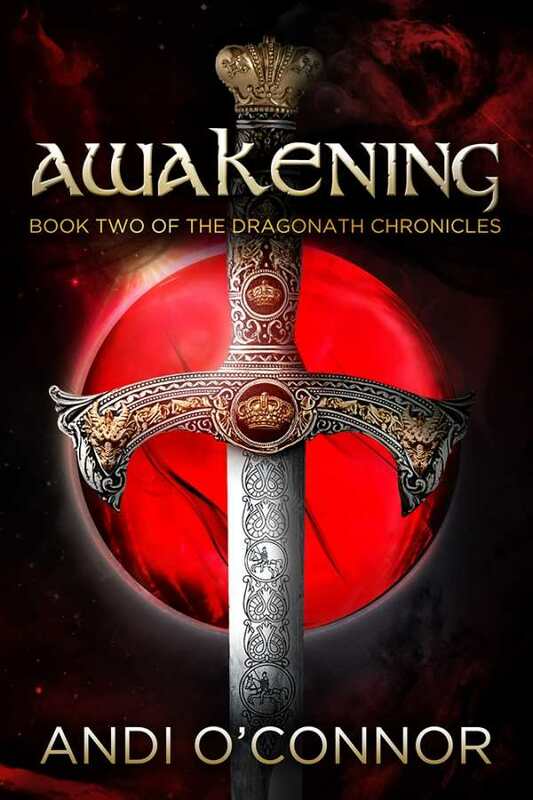 A remarkable blend of science fiction and fantasy, Awakening, the second novel from Andi O’Connor’s The Dragonath Chronicles, finds sorcerers, queens, and kings preparing to battle over the future of Dragonath and her sister planet, Earth. Still reeling from his transformation from average college student to last remaining Keera heir, Darrak struggles to become a wise and worthy leader of his people. His advisers, powerful sister and brother sorcerers Iornwen and Ipzaag, face deadly struggles of their own as they each react to the uncertain future of their beloved home. Add romance, betrayal, magic, and the imminent threat of war for an entertaining and surprisingly emotional journey. Although the men of Dragonath are certainly forces to be reckoned with—including Darrak; Ipzaag; the ever-loyal Captain of the Guard, Rorend; and evil, power-hungry Garenth Denthald, King of Dréyan—it is the women who truly shine in Awakening. Perhaps because O’Connor writes with such sensitivity and emotional expansiveness, every liaison and decision made carries weight. It is no surprise, then, that when Darrak is being escorted over treacherous and hostile terrain, his protectors are all strong and independent women. These women, along with a detailed cast of supporting characters (be they human, wolf, dragon, or other), fight battle after battle in a war that began years ago, prior to the start of Awakening. As with many a sequel, there is a bit of catching up to do since the action and relationships are already firmly established. A list of players, complete with their loyalties, magical abilities, and romantic connections, would go a long way toward clearing up any initial confusion caused by the numerous casual references to unfamiliar people and places, as well as their roles in the drama. Awakening manages to be both thoughtful and full of action, combining the best of science fiction and fantasy with intriguing and original characters. Fans of either genre will appreciate O’Connor’s style, and hopefully will have the chance to enjoy a continuation of The Dragonath Chronicles.